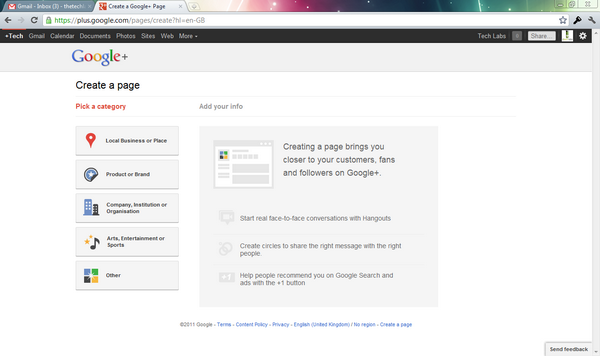 With Google+ Pages you can have real conversations with the people interested in your business. 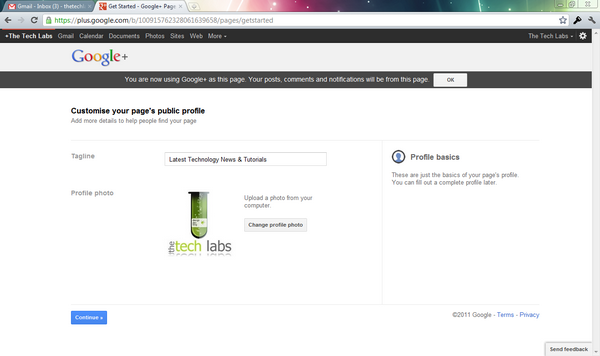 You can direct them to your Google+ Page with a Badge that you can add to your site (more on that below). You can also extend the power of +1 to stand out in Google search results. With Google Plus For Business you can easily share breaking news, updates, promotions and more with the different people interested in your business. You can also promote your business, products and/or services with the +1 service all across the Web. Google+ even allow you to measure how your page is doing, and learn more on how your followers’ interactions affect your business and brand. 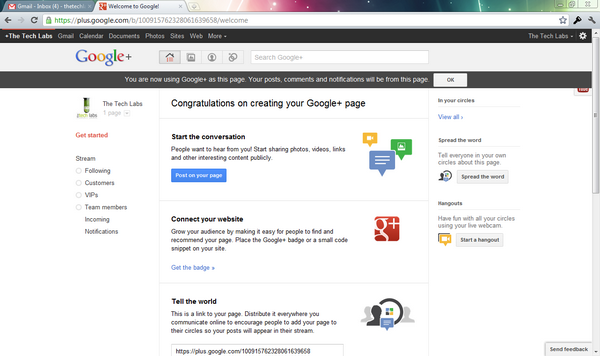 Google+ also offers ways to improve the page. 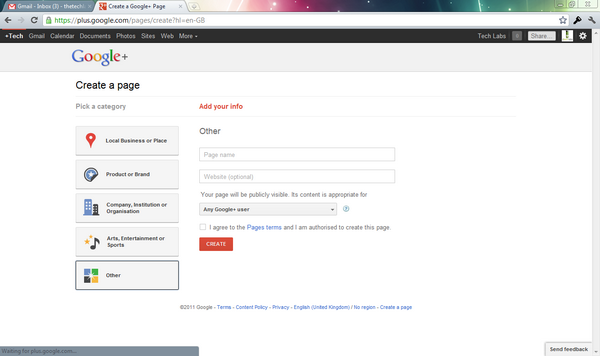 Creating a Google+ Page only a few minutes. 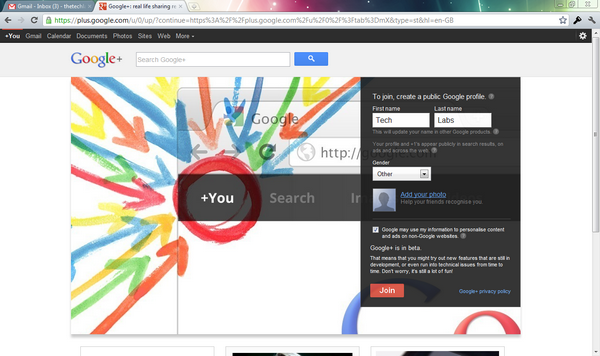 Before you can create a Google+ Page, you must create a Google+ Profile (if you don’t already have one). If you don’t have a Google Account, you can create one here. This will give you access to several Google services, incluing Gmail, Google Docs, and of course Google+… After creating a Google Account, log into Gmail and click the ‘You+’ link at the top left of your Gmail dashboard. Enter your first and last name, or the name of your business, and click the ‘Add your photo’ linkt to add the logo of your business. Click ‘Join’ once done. You will then be offered the option to follow public figures. You can either choose to follow people, or skip this step and choose to follow people later. 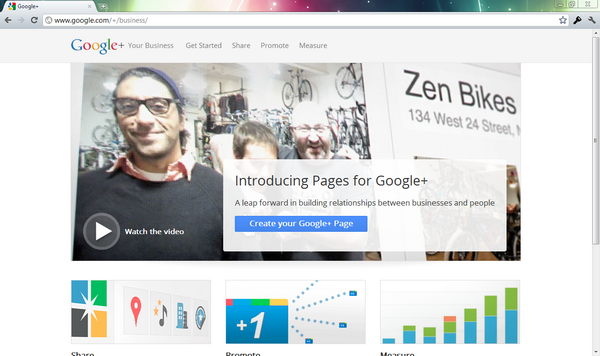 You will then be offered to create a Google Plus Page For Business. If you can’t find how to, click this link:Google+ For Business. You will be directed to a page that allows you to create a Google+ Page dedicated to your business, much like a Facebook Fan Page. Then you are asked to add your information. Enter a Page Name, paste your Website URL, and choose who you want to be able to see the page. Most of you will choose: Any Google+ users. Make sure you read the Pages terms and tick the box before hitting the ‘Join’ button. You can then customise your page’s public profile by choosing a tag line, and add your business logo if not already done. Then click the ‘Continue’ button to proceed with the page creation. That’s it! Your Google+ Page should now be ready… Google Plus For Business suggests you a series of actions that you can take now or later to finalize your pages, like starting a conversation, connecting your website, and tell the word about your newly created page.